While all eyes have been on The Bachelor‘s Colton Underwood in recent weeks, another member of Bachelor Nation has quietly been making major moves of her own — literally. 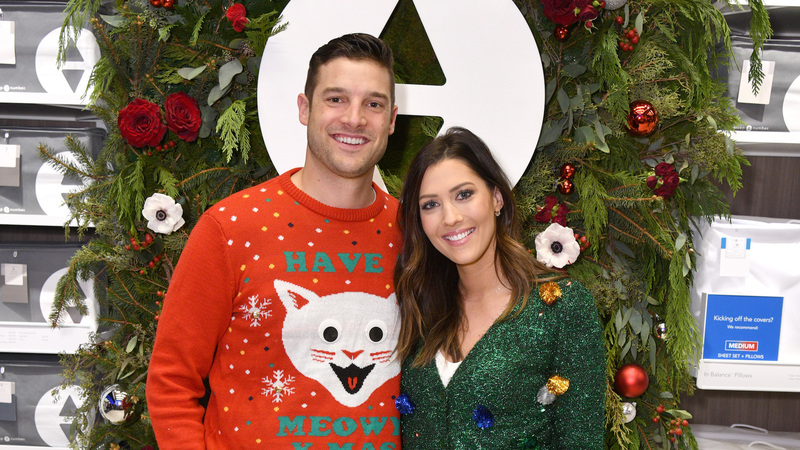 According to former Bachelorette Becca Kufrin’s social media, she is preparing to move in with her fiancé, Garrett Yrigoyen. On Thursday, Kufrin took to Instagram to share a photo of herself surrounded by moving boxes in her Minneapolis, Minnesota, apartment. “FedEx is apparently my new bestie and I’m having a really hard time parting with my mini microwave tv,” she captioned the premove snapshot. Yrigoyen dropped another pop-culture reference the following day when he posted what was presumably an older photo of himself with Kufrin to Instagram. “’Dracarys.’ – DT,” he wrote, alluding to a word used by Daenerys Targaryen on Game of Thrones. In the HBO series, the word — which means “dragon fire” — is used by Targaryen to summon her dragon, Drogon. “Dracarys.” – DT 🔥 _______________________________________ I’m coming North. See you soon MN. Yrigoyen also added, “I’m coming North. See you soon MN.” So, given those words and the GoT context, we’re going to assume Yrigoyen was summoned to Minnesota to help his lady finish packing up her stuff. In fact, that summons may have come in the form of an Instagram post shared with her fans on Jan. 14. In it, Kufrin got vulnerable about how much she relies on Yrigoyen to steady her when she is feeling overwhelmed. Fortunately, the spoils of Kufrin’s current war with shipping boxes should outweigh any temporary inconvenience. When all is said and done, she’ll be cohabiting with Yrigoyen in sunny San Diego, California. The couple, who got engaged on Kufrin’s season of The Bachelorette, certainly seems ready to move forward in their relationship.